You’ve probably heard the old joke that here up north there are four seasons: almost winter, winter, still winter, and road construction. None of us like road construction at the time, right? But it’s better than the alternative. A few months of planning and proactive work can prevent much larger headaches later on. The same concept holds true for your investments. Regardless of how far away you are from retirement, you can be taking steps now to save possibly many thousands of dollars on taxes over your lifetime. However, these savings are often only available to investors who work proactively to develop a long-term investing plan. Don’t be one of the many who wait until it is too late and miss out! 1. Taxable. Taxable funds, such as those in standard investment accounts, receive no special tax treatment. You will typically be taxed on interest and dividends as they are paid, in addition to any gains you make upon sale. 2. Tax-Deferred. This bucket includes retirement accounts that let you save on taxes when making contributions, such as IRAs, 401(k)s, 403(b)s, and others. Additionally, you are not taxed on income or gains as they occur, but withdrawals will be taxed. 3. Tax-Free. The Tax-Free bucket includes retirement accounts such as Roth IRAs, Roth 401(k)s, and others. You do not get any special tax breaks upfront; however, not only do income and gains grow without being taxed, but funds can be withdrawn income tax-free for qualified reasons. Why Does It Matter? First of all, shielding investments from taxes helps them grow faster. For example, if you have a $10,000 investment that earns 5 percent per year for 30 years, you could end up with over $43,000. But what if you have to pay taxes on the earnings, such that after-tax you only earn 4 percent per year? After 30 years, your investment would only amount to about $32,400. Even small amounts of taxes add up over time. 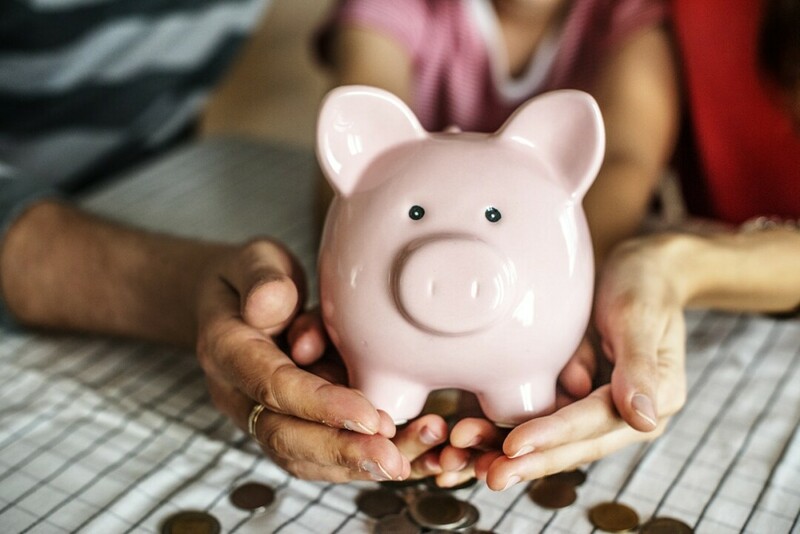 Since accounts in the tax-deferred and tax-free buckets typically have annual contribution limits, the earlier you take advantage of them, the more funds you may be able to invest without the continual drag of taxes. Also, the types of accounts you have available to pull from in retirement may make a big difference in your retirement income and taxes. Your split between the three tax buckets may affect everything from whether your Social Security income will get taxed and how much you will have to pay for health insurance, to how much charitable giving you will be able to do and what estate planning strategies will be available. If you don’t plan accurately, you may end up having the wrong types of accounts for the wrong needs, and paying taxes that could have been avoided. What Should I Do? We recommend creating a long-term investment plan that incorporates tax minimization, and to start saving early and often. Which tax buckets should you contribute to? That depends on your situation and goals. Generally, though, the taxable bucket is least advantageous for retirement funds. One important consideration is whether you will be in a higher or lower tax bracket in retirement than you are in now. For example, if you expect to have a higher tax bracket in retirement, it may make sense to contribute to tax-free accounts to permanently shield those funds from future taxation. We generally recommend giving yourself flexibility down the road by using multiple types of accounts, a practice we call “Location Diversification.” Many have concerns that tax rates may go up in the future, due to factors like the high U.S. national debt, large unfunded Medicare and Social Security promises, and the aging of the U.S. workforce. Since future tax rates may determine which strategy is best for you, but we can’t know for sure where tax rates are going, it is probably best to use some combination of the different tax buckets rather than putting all your eggs in any one basket. If you build flexibility for yourself, then once in retirement, you can optimize your withdrawals year by year. For example, it may be beneficial to withdraw from highly-taxed investments when you are in a lower-than-normal tax bracket, and take more from investments that don’t create extra taxation in other years. Start Now Unfortunately, many people wait until about one or two years before retirement before getting serious about retirement planning. However, your actions even during your early working years will affect the opportunities you have, and taxes you pay, in retirement. The key is to start planning early, consider the total long-term effects of each action, and modify as needed each year. If you’d like help developing a long-term investment strategy or want to read more about this topic, please contact us at (715) 832-1173 or questions@bernicke.com, or visit education.bernicke.com. Stephen B. Poynter is a portfolio/research associate and registered admin at Bernicke Wealth Management in Altoona. This article is provided by Bernicke Wealth Management, Ltd. (Bernicke) for informational purposes only and should not be construed as personalized investment, tax, or legal advice. Investing involves the risk of loss. Before making any decisions with legal, tax or accounting ramifications, you should consult with appropriate professionals. Bernicke is an SEC registered investment adviser that maintains a principal place of business in the State of Wisconsin. A copy of Bernicke’s current written disclosure statement as set forth on Form ADV, discussing Bernicke’s business operations, services, and fees is available on the SEC’s Investment Adviser Public Disclosure website at www.adviserinfo.sec.gov. Securities offered through Triad Advisors, LLC, member FINRA/SIPC. Advisory services offered through Bernicke Wealth Management, Ltd. (Bernicke). Bernicke is not affiliated with Triad Advisors, LLC.